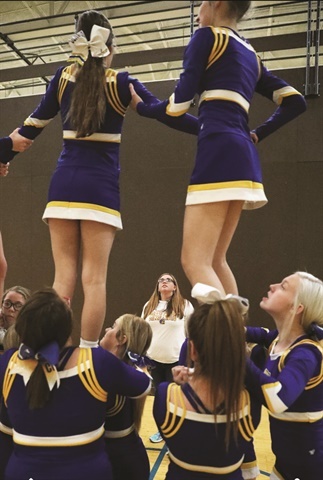 For nail tech Marcie Morgan of Crawfordsville, Ind., cheerleading has been a lifelong passion. She first became a fan at the age of three. 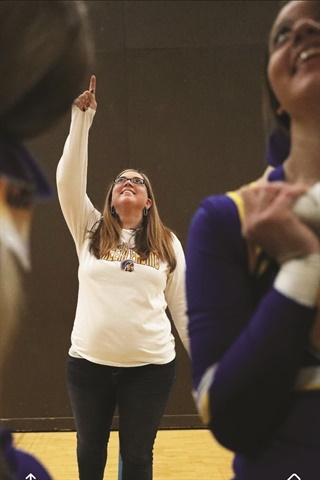 “Because my brothers were 10 and 12 years older than me, my mom would dress me up and I’d go to their games and watch the big girls cheering and try to cheer along,” she explains. She officially started cheering in fifth grade and continued through high school.